Last month, I put out a call for posts about fun ways nonprofits are using Pinterest for the Nonprofit Blog Carnival. Below are links to some examples, plus additional info and inspiration. Enjoy! • Susan Chavez shared 4 ways she's using Pinterest with The Association of Junior Leagues International. • Marc van Gurp highlighted the Juvenile Diabetes Research Foundation in Israel's "Pinsulin" campaign. • Christine Sculati created four Pinterest Boards to raise awareness about the California State Parks crisis. • In her roundup of Pinterest resources, Lori Halley linked to a piece about how to organize an event with Pinterest. • Allison Fine interviewed Ian Haisley, Opportunity International's Director of Online Strategy, about how they used Pinterest to fundraise. What do you like about using Pinterest? The July Nonprofit Blog Carnival will be hosted by the Fundraising Detective and has an Olympics theme! 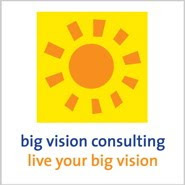 What's Your Big Vision for Summer 2012?